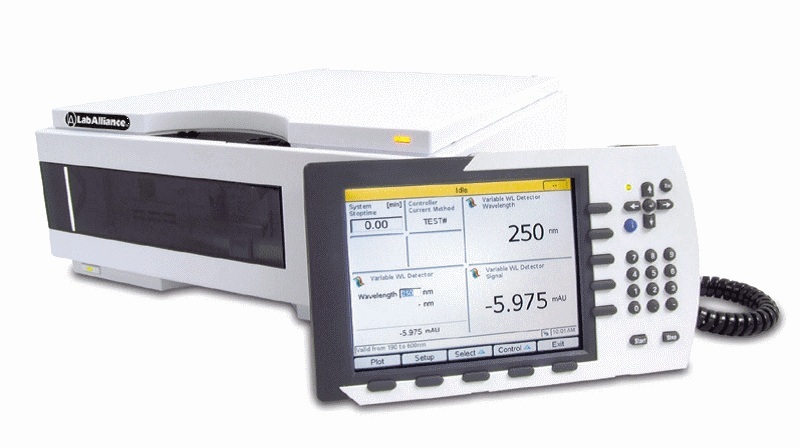 The 1200 Series Fluorescence Detector provides automatic optimization of PMT gain setting and improved selectivity and sensitivity by simultaneous multiple wavelength detection. The detector contains built-in diagnostics tools to minimize down-time, and built-in wavelength calibration for GLP compliance. This unit is programmable and offers electronic temperature control, programmable wavelength switching, stop-flow wavelength scanning and extensive diagnostics and error detection. Superior sensitivity for lower detection limits at any combination of excitation and emission wavelengths. A long life flash lamp, simplified optics and a reference system improve baseline stability. Improved selectivity and sensitivity by simultaneous multiple wavelength detection. Monochromators work in signal or spectra mode and are synchronized with the flash light to allow for detection at up to 4 excitation or emission wavelengths. Method optimization or peak confirmation by exploring the spectral landscape. 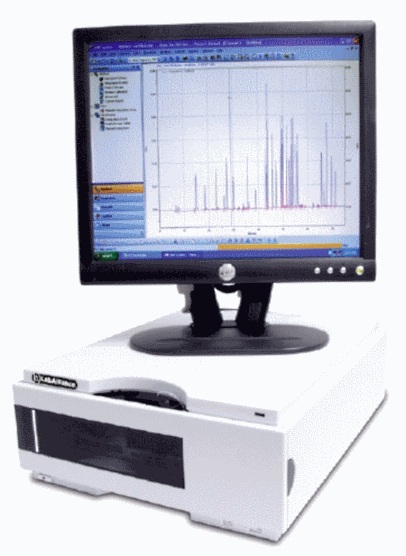 View online spectra without interrupting your chromatography. Verify wavelength accuracy for GLP compliance - Automatically check the built-in wavelength calibration (Raman band H20) with external standards that your wavelengths is indeed what the set-point says it is.